We thought now would be a good time to update readers on WannaCry, a particularly vicious strain of ransomware that recently infected hundreds of thousands of computers across the globe. WannaCry, also known as WannaCrypt, paralyzed financial institutions, law enforcement agencies, colleges and even hospitals. In light of this week’s new and competitively vicious cyberattack, dubbed Petya or Petrwrap, it’s actually a very good time to discuss the topic. Just what was, and is, WannaCry, and what can we learn from this tech disaster of global proportions? Frontier IT’s Colorado Springs-based tech experts fill you in. What happened: The WannaCry outbreak began on May 12, 2017, and wrecked havoc for three days. By May 15 it had been (for the most part) stopped in its tracks due to emergency patches and the discovery of a kill switch, according to TechRepublic. The malware, which targets Windows users, encrypts all files on infected computers and demands a ransom, paid in Bitcoin, in order for users to recover their files — all the while searching for additional computers to infect via networks. Who’s to blame: Government officials and private-sector security experts believe that Lazarus, a hacking group with ties to the North Korean government, is behind the attack, according to CNN. What’s more, CNN reported that WannaCry “crippled parts of Britain’s National Health Service.” “Appointments canceled, ambulances diverted,” proclaimed a CNN headline. According to Forbes, administrative computers and even medical devices at U.S. hospitals were affected, including a Bayer MedRad device that “assists with MRI scans,” Forbes reported. “Multiple U.K. hospitals reported that their radiology departments were completely knocked out by the ransomware outbreak,” a Forbes journalist wrote. In Scotland, officials “convened an emergency meeting to deal with the problem,” CNN reported. Even health systems that weren’t hit by WannaCry, like Queensland Health in Australia, wrestled with difficulty accessing patient medical records as patches were installed, Forbes additionally reported. 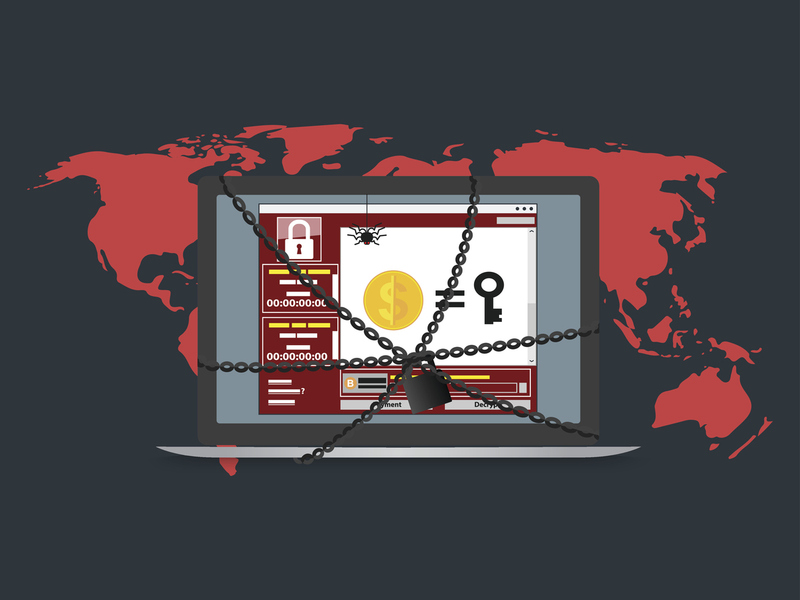 How do you ensure that your business or medical practice doesn’t fall victim to WannaCry, Petya or the next merciless ransomware attack — especially if you can’t afford to employ an entire IT staff? Actually, there’s an easy answer to that question. MSPs, or managed service providers, partner with small- to mid-sized businesses to offer IT services like disaster recovery/backup, help desk support, server/network monitoring and HITECH-compliance consulting in an affordable, à la carte fashion. Partnering with an MSP allows your company to continue to serve customers, innovate, excel — all the things you do best — and leave keeping up with, and ahead of, these cyber criminals to experts. Frontier IT specializes in working with businesses of all types and sizes, including medical practices. Drop us a line today. We’d love to chat about what it is you do and how we can partner with you to promote your success.